The cards are in your favor for love! 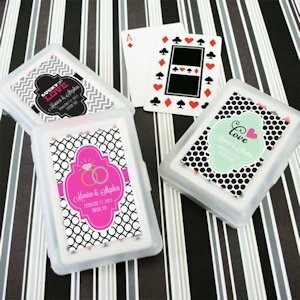 Your guests will know just how fun-loving you are when you present them with these personalized playing cards wedding favors. 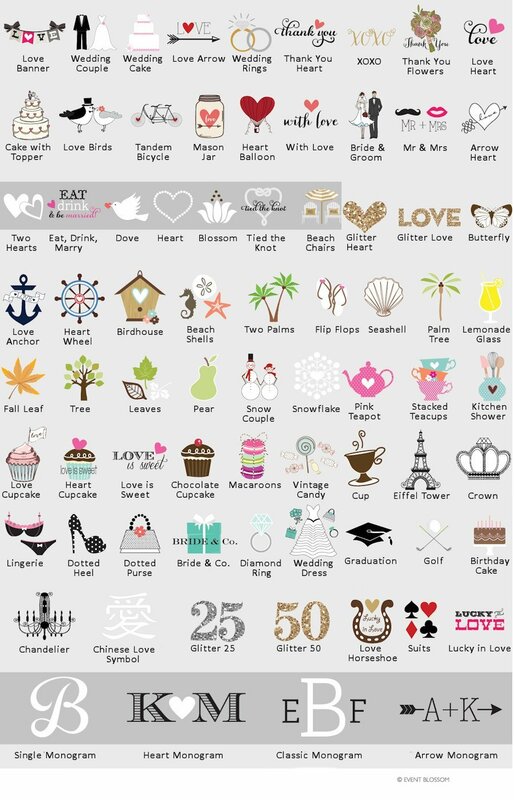 Choose them for your wedding, bachelor or bachelorette party, or as an engagement announcement. Each deck of cards is printed on white glossy stock with black, red and white artwork. We've packaged them neatly in a translucent box and include an un-attached personalized label. 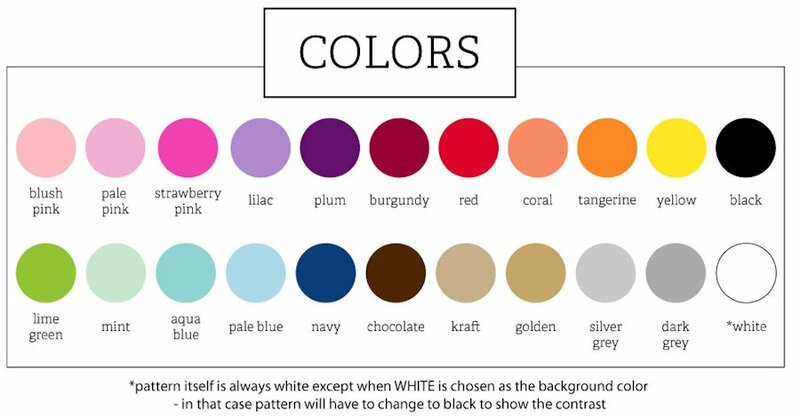 Choose from a variety of themes and colors, and then add your name(s), date and personal message. 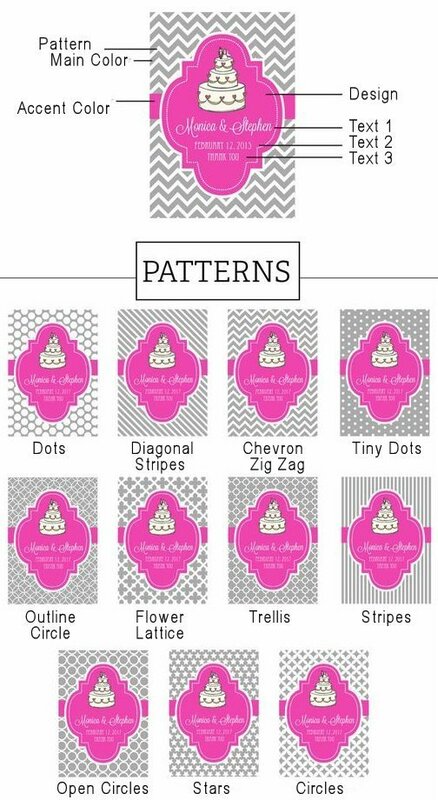 Measures 2.25" x 3.5" Note: Only the outside personalized label color can be changed. 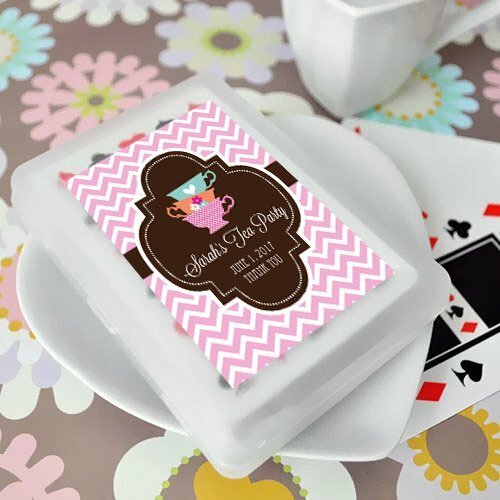 Actual playing cards cannot be personalized and will remain white in color. Can I have my own design printed on the back of the cards? Unfortunately, we cannot accept outside designs/photos/artwork at this time and can only print with the template designs provided on our site. 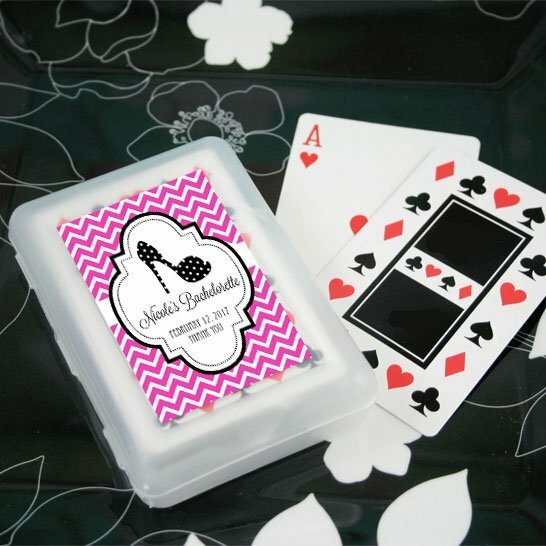 Also, the cards themselves are standard/not personalized - only the sticker that is placed on the outside of the deck case of the Personalized Playing Cards Wedding Favors can be customized. Will each card be personalized? The actual playing cards cannot be personalized and will remain white in color. Only the outside personalized label color can be changed for these Personalized Playing Cards Wedding Favors.